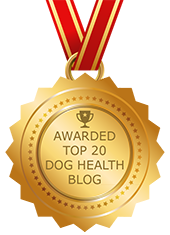 Don't Knock It Until You Tried It: Animal Chiropractic | Dawg Business: It's Your Dog's Health! The goals of having chiropractic adjustments can be as simple as having your animal feel and perform better, to resolving biomechanical problems, to helping heal extreme pain and paralysis. Well, until recently, I didn't know much about it either. When I first read about it, as interesting as it sounded, I would have never considered it for my dog. Anecdotal evidence issue aside, in my mind, the word chiropractic stood for painful bone-crunching torture. I'd hesitate to put myself through something like that, let alone my precious baby. But one can always learn something new. Eight out of 10 dogs seem to find some type of instant relief from dog chiropractic therapy. Animal chiropractic is a very gentle procedure! Well, it does sometimes hurt some when the chiropractor finds the spot. 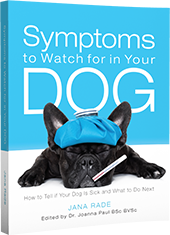 But how much pain might your dog be in constantly, without you even knowing? The adjustment itself consists of applying gentle pressure until things pop back into their rightful place. Reading about animal chiropractic is one thing. Experiencing the results is another. As Jasmine started going for her physical therapy, her vet included chiropractic as part of the process. This often consists of a checkup only. But sometimes misaligned areas are found and adjusted. Jasmine is a very social and outgoing dog and she loves attention and petting. But sometimes she would get sensitive to touch in one area or another. We guessed that she might be painful in that area but didn't really understand why, as there was nothing obvious to be found. After she started seeing the physical therapist/chiropractor, things suddenly made sense. Every time she'd become sensitive to touch in a certain area, some misalignment would be found. The most dramatic result we witnessed was when one day Jasmine suddenly started limping on her rear leg terribly. She wouldn't use the leg at all! Not even laying down or getting up! It looked worse than when she tore her cruciate ligament! At that time we already knew that the knee surgery failing that long after it has healed was not likely at all. What was going on? Another muscle or tendon injury? We took Jasmine to her physical therapist right away. She checked her out and found a major hot spot on the spine right at a hip area. As she applied steady pressure, suddenly we could actually hear the pop! And that was that. Still little sore that night, Jasmine's was walking fine the next day! The same thing happened with her recent limp on the front left leg. Three hot spots at the shoulder area were found and adjusted. The next day the limp was gone. And those are just the things that are easily visible. Because of Jasmine's high activity level, she is perfectly able to tweak her spine here and there. I can't even imagine what her life would be like without the benefit of the chiropractic adjustment. It also puts many things in a different light. I read stories of highly reactive dogs who mellowed right out after getting chiropractic help. No wonder they'd be aggressive, with so much pain. Today I believe that getting a chiropractic check-up should be part of the diagnostic arsenal, whether your dog is visibly suffering from pain or just being more grumpy or aggressive than they should. Particularly with a sudden onset. No harm in that. While it might not always be the case, a chiropractic adjustment just might solve your dog's problem. Yes, there are evidence-based practice veterinarians who frown on such hack as animal chiropractic. Ours is not one of them. He's, in fact, the one who introduced us to Jasmine's physical therapist. I guess it's just one of those things were seeing is believing. For me, anyway. Don't knock it until you tried it. Does your dog see a chiropractor? Share your experience. Dog Chiropractic Therapy: An Option for Your Dog?